WAN optimization has been driven by consolidation - initiatives that continue today and continue to influence WAN optimization technologies. But the world is changing. Web protocols are replacing legacy protocols. Video is becoming a dominant force, driven by consumer technologies and more widespread corporate use. 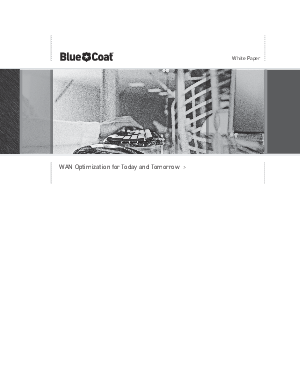 Receive Your Complimentary White Paper NOW!